This recipe takes the well-known concept of the blueberry muffin to a whole new level. These muffins are extra special because they have a surprise inside: delicious, lemony cream cheese! 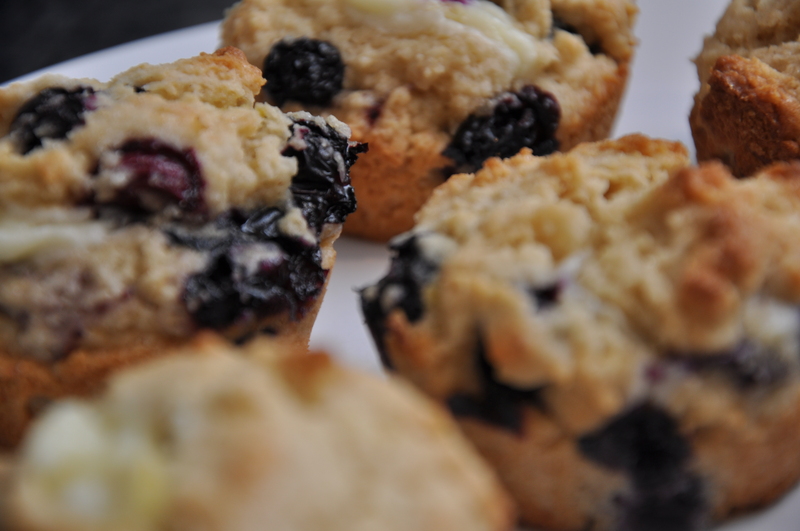 They are great on their own, but the lemon cream cheese filling with the plump, juicy blueberries makes these muffins marvelous. My son didn’t notice the cream cheese filling until the second bite when his “mmmm” escalated to “MMMM!” He loved the surprise filling. 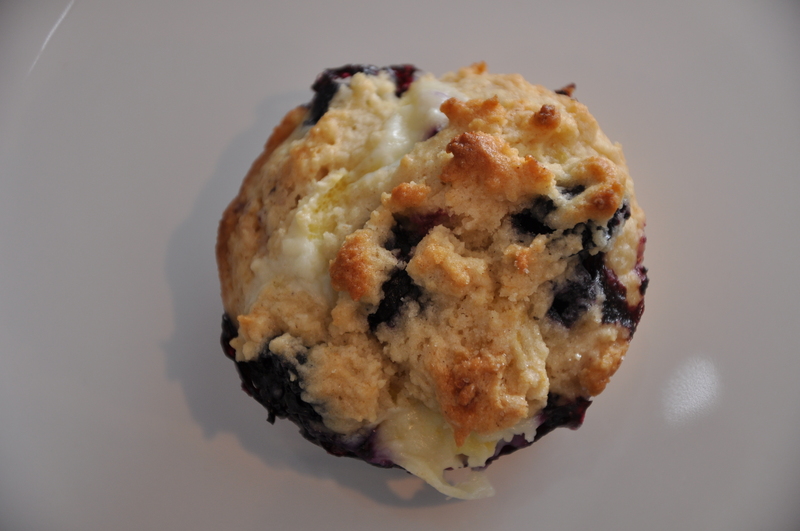 A fresh blueberry muffin with lemony cheesecake flavors in the mix is the perfect way to start any morning. Surprise your loved ones with these muffins-they will love them (and you for baking them)! 1. Preheat oven to 400 degrees. Grease muffin cups or line with muffin liners. 2. In a medium bowl, whisk together the flour, salt, baking powder, and cinnamon. 3. In a small bowl, add the sugar and lemon zest. Rub sugar and zest together, until fragrant. Add to the flour mixture and whisk again. 4. In a separate medium bowl, mix canola oil, egg, milk, and vanilla. 5. Incorporate the wet ingredients into flour mixture. Add slowly and do not over mix. (The batter will be lumpy and thick.) Gently fold in the blueberries. 6. In a small bowl, mix together the cream cheese, lemon zest, and sugar until smooth. 7. Fill each muffin cup half way with batter. Next, add about 1 teaspoon of cream cheese filling to each muffin cup. Cover each cup with remaining batter so you can’t see the cream cheese filling. Sprinkle each muffin with turbinado sugar. 8. Bake muffins for 17-20 minutes, or until muffins are golden brown and a toothpick comes out clean. 9. Let muffins cool on a cooking rack. Don't miss out! If you love muffins as much as I do, you can get every recipe delivered straight to your inbox for free. Click the button below to get started. © Carmel Bank and Muffin Mama, 2015. Unauthorized use and/or duplication of this material without express and written permission from this blog’s author and/or owner is strictly prohibited. Excerpts and links may be used, provided that full and clear credit is given to Carmel Bank and Muffin Mama with appropriate and specific direction to the original content.